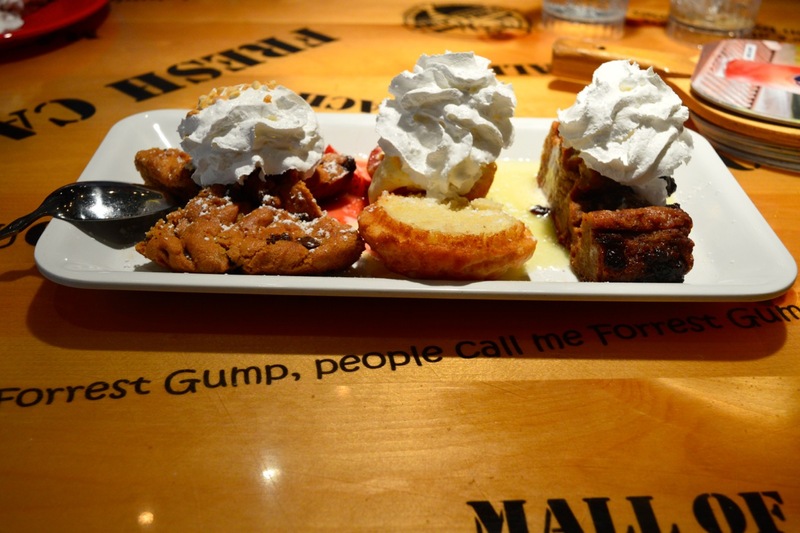 Bubba Gump Bayside Mall, Miami reviewed by guest writer Kirsty Braik-Scivyer. 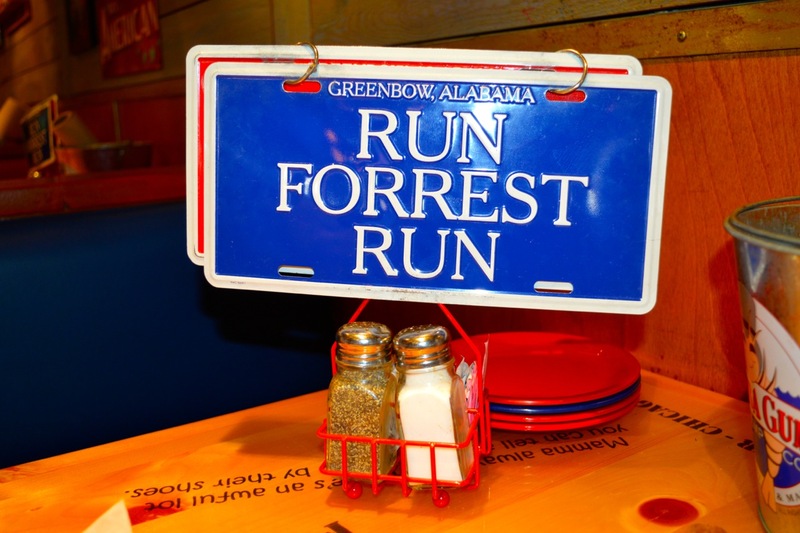 Bit of a confession here, I’ve never actually seen the much lauded film Forest Gump so I had no idea that the restaurant is sort of themed if you can call it that. We arrived at Bubba Gump feeling the need for some good, healthy ish seafood having discovered that in America more is certainly more, and even salad tastes differently to how it does back home. I almost settled for Five Guys but stuck to my guns and in the Bayside Mall found what I was looking for. We were seated by the bouncy, bubbly Jenny who briefly explained the menu, told us her favourite dishes and came back with our iced water and cokes which she proceeded to monitor like a hawk throughout our meal. America really is the land of the free refill and I swear that all restaurant / bar staff have attended a training course on the appropriate levels of liquid before topping up, woe betide them if it reaches the dreaded half full mark where as staff in the UK are kind of hit and miss about drink service. Word of warning here guys. 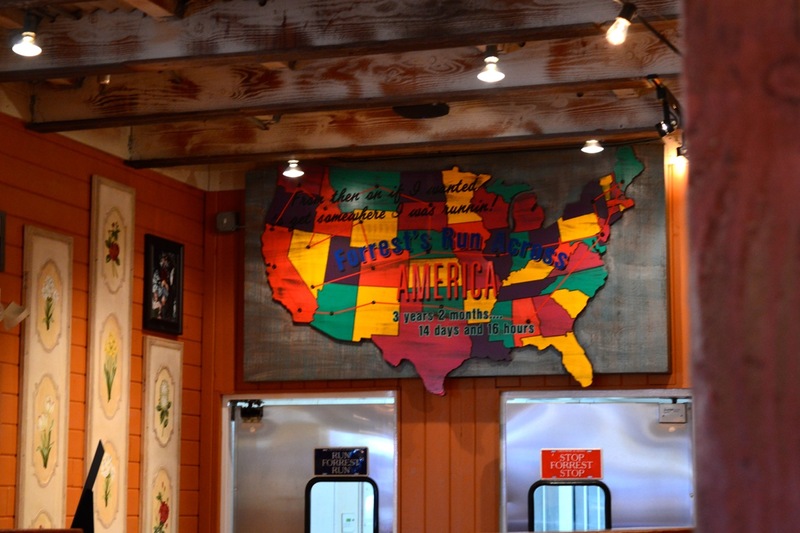 The Bubba Gumps menu is huge, and I mean really huge even without the added Fall Favourites or any catch of the day / chefs specials. 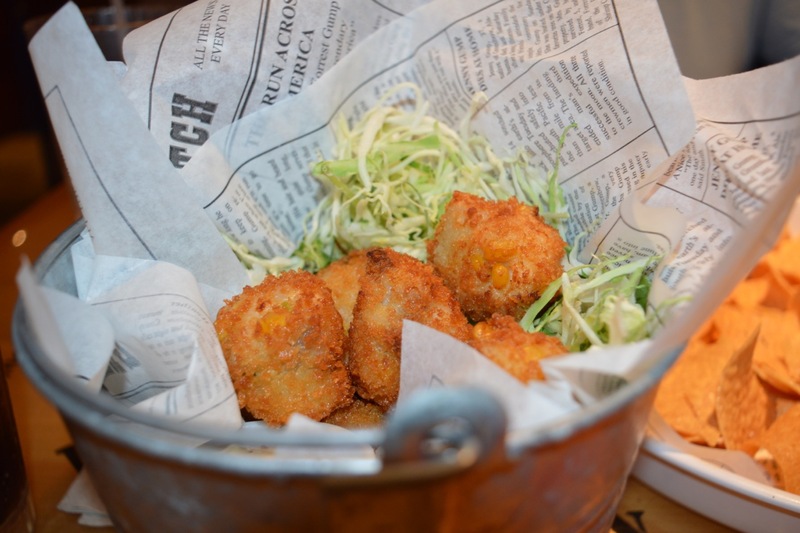 Having taken advice from the lovely Jenny I chose the Seafood Hushpups, bite size balls of shrimp, or prawns to us, and fish deep fried in cornbread and served with a zesty remoulade dip and shredded salad. 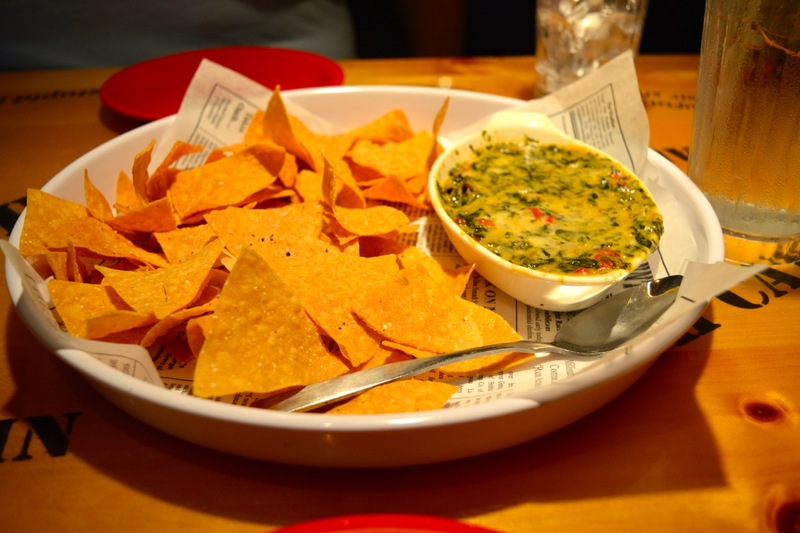 Ben, my husband, went for the Bubbas Far Out Dip, a large dish of spinach, roasted bell peppers, artichokes and Monterey Jack cheese with a side of freshly baked Tortilla Chips. Well, I ate my dinky delicious seafood pups so quickly Ben only got to try one as I searched eagerly amongst my shredded lettuce in the hopes for more! He loved his starter and commented how light and crisp the chips were while the spinach dip had just the right amount of salt. 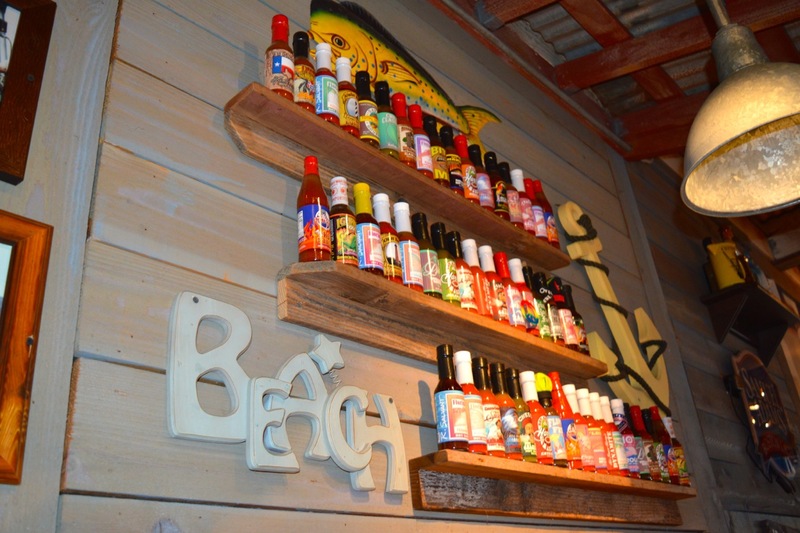 We also loved the authentic decor, including old signs, a colour map of the US, props from the film and endless shelves of vivid sauces. Before we knew it our plates had been cleared and we placed our entree or main orders as I picked, having questioned Jenny on some ingredients, Of Course We Have Scampi, a full flavoured shrimp pasta dish sautéed with capers in a lemon garlic butter sauce, served on a bed of piping hot perfectly al dente linguine complete with sweet red tomatoes and crusty bread. This dish did not disappoint as the saltiness of the capers, met sweet tomato as well as a full bodied lobster bisque all wrapped in soft, smooth pasta. 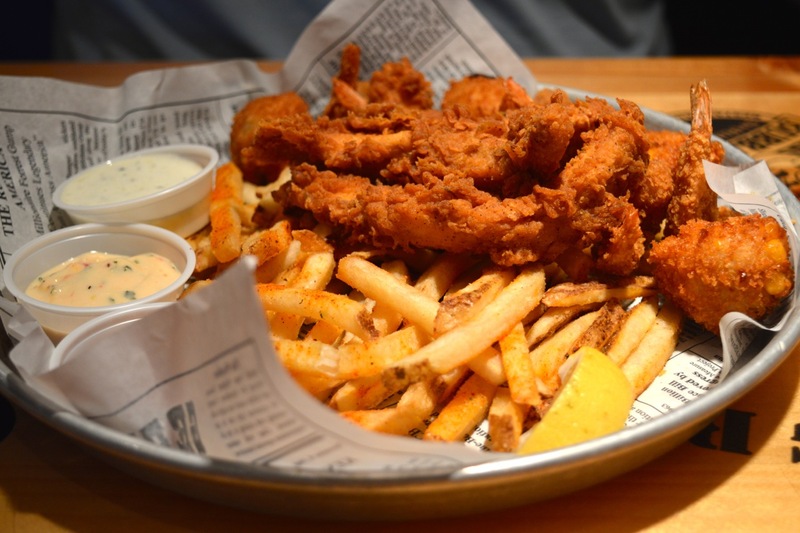 Ben went in an altogether different direction and picked the Forrest’s Seafood Feast, a platter of hand breaded fried shrimp, fish & chips and made from scratch Seafood Hush Pups. It’s served with crispy fries and several homemade dippin’ sauces including tasty Tartar, Cocktail and Remoulade. He tucked in with great enthusiasm and very little was left of the rather large deep fried dish. Having been somewhat persuaded to have dessert by Jenny, on one of her many trips to refresh our never ending drinks, I decided I could handle the Best Of The Best Sampler, a trio of mini desserts including Mama’s warm Bread Pudding, Strawberry Shortcake, a homemade biscuit topped with fresh strawberries and a melt-in-your-mouth Chocolate Chip Cookie Sundae. The bread pudding was moist, warm and wonderfully chocolatey and I pretty much ate that all in one go while the strawberry shortcake tasted, in my opinion, a little too sweet and artificial in places. 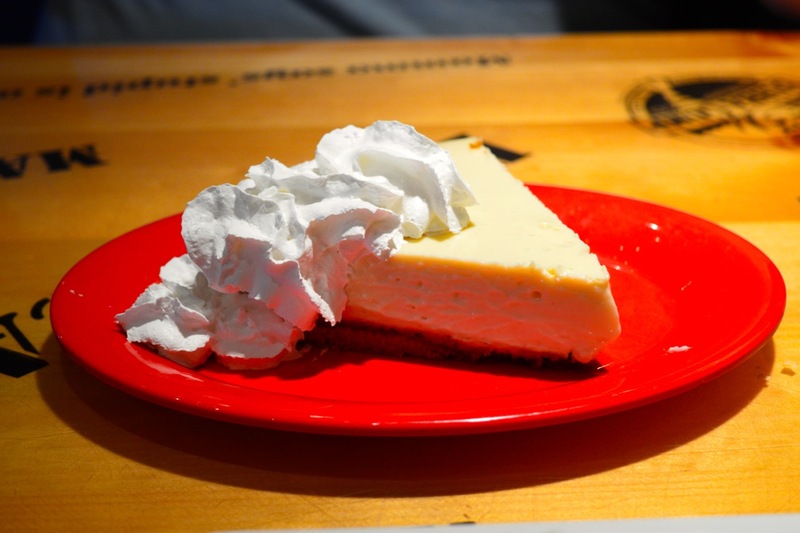 Ben plumped for his favourite dessert ever, a massive wedge of sweet, citrus good ol’ American Key Lime Pie topped with a small boulder of whipped cream that he couldn’t quite finish but still declared it was very, very good. 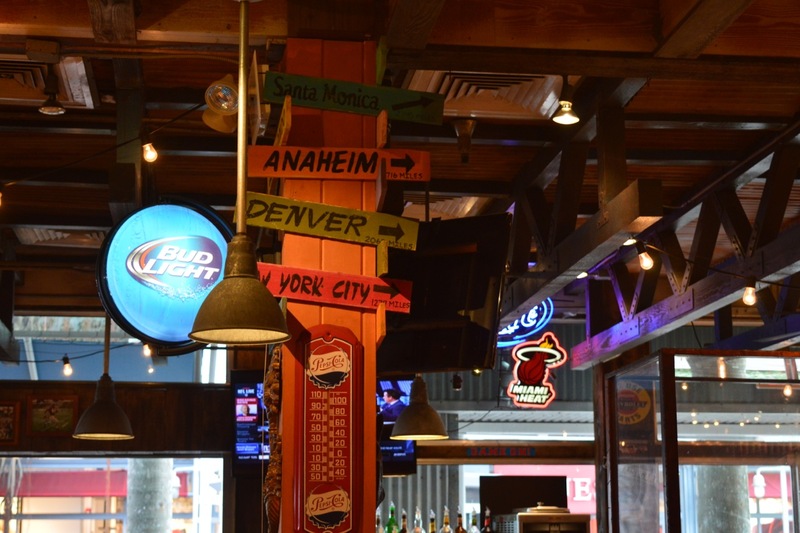 We had set out to find a good friendly restaurant that served delicious food at a reasonable price and we found it at Bubba Gump in spades! I waxed lyrical about the Seafood Hushpups for the rest of the day, annoying both Ben and probably a few other people on the Miami MetroMover, but I have never enjoyed a late afternoon lunch quite as much as this one in an outdoor mall in Florida. 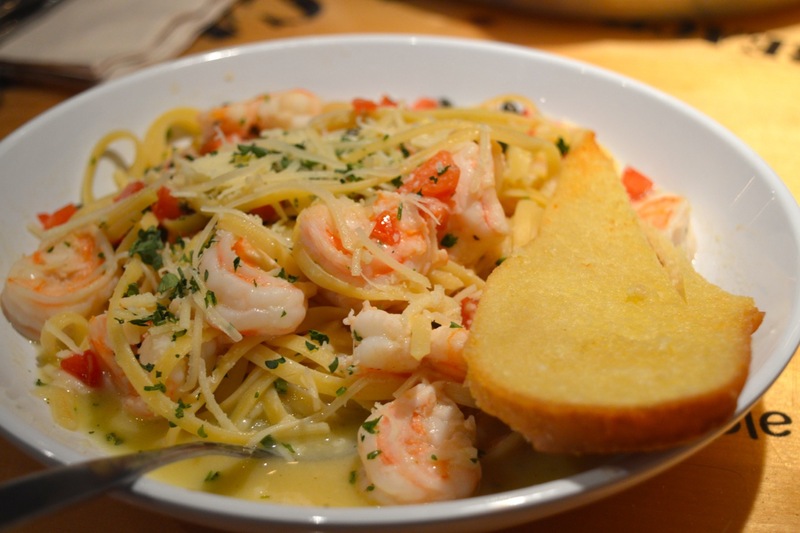 See Roxii’s review of Bubba Gump London here. Kirsty is a freelance journalist who has written for Bauer media and Vidados. Catch her tweeting @eclipse1473.